Stop the purchase and use of Roundup and other glyphosate based herbicides and neonicotinoid in our parks, roadways, and near schools. We the residents of Maui and the state of Hawai'i, ask Maui County and the State of Hawaii to stop the use of Round Up and Neonicotinoids immediately and permanently. The long term and often excessive use of the herbicide Roundup Pro, and other glyphosate based herbicides to control weeds in our city parks and roadways unnecessarily expose children, adults, and wildlife to a toxic stew of chemicals. This poison is being sprayed all over our roadways, city parks, and next to schools. And with no warning, signs, or mandated limitations around application? This must stop. There are better ways to keep up our parks, roadways and playgrounds without spraying toxins that harm our children! A mega-tsunami in Hawaii generated by an Aleutian Islands earthquake with a magnitude of 9.0 or higher would affect more than 300,000 people, the state estimates, and cause some $40 billion in damage. But how probable is an event like that? A team of University of Hawaii at Manoa researchers spent five years trying to answer that question, and here's what they concluded: There's a 9 percent chance of Hawaii suffering a direct hit from such a mega-tsunami in the next 50 years. In other words, rare but possible. Back in 1964 there was a magnitude 9.2 quake that hit Anchorage, Alaska. The Tsunami wiped out much of the city of Hilo, on the Big Island. Hawaii lawmakers set aside more money to tackle the highest rate of homelessness in the nation — a crisis that has left families with children living on sidewalks alongside the beaches of paradise. The Legislature allocated $12 million in new funding during the session ending Thursday. It will go toward social services and clearing out homeless encampments. The amount surpassed Gov. David Ige's funding request and added to the more than $15 million the state already spends annually to address the problem. The "power projection" of US military might from here on Oahu, coupled with the military activities controlled here, make this island potentially a first-strike, decap target for any Chinese war against the United States. As an Oahu resident, that makes me more than a little nervous. I would strongly suggest we constituents deserve some kind of answer from the "alleged" Representatives who ducked this reporter's questions, and ask them seriously about what they are doing to prevent a potential "Oahuclypse" if there is a war with China. Hillary supporter tries to throw away Bernie ballots, gets kicked out. And Hillary still lost 2x1. I spoke with a friend who was forced to wait 1 1/2 hours to vote for Sanders. Hillary's supporters are coming across as real scumbags and if you support Hillary, don't be surprised if everyone you know assumes you are exactly that same type of subhuman. Following Portugal’s model, Hawai`i could become the first state in the U.S. to decriminalize all drugs - including cocaine and even heroin. Workers left without a job when the state's last sugar plantation closes this year will be able to get financial help. Hawaiian Commercial and Sugar Co. employees who lose their jobs will be able to get money through a federal program to help replace lost wages, U.S. Sen. Brian Schatz, D-Hawaii, announced Monday. About 675 Maui residents work for Hawaii's last sugar plantation, which plans to end sugar operations by the end of 2016. Under the federal program, workers could receive up to $2,000 a month for a year while they're retrained for a new job. That's in addition to state benefits and job training. On Sunday a group of indigenous people affected by oil spills in the Peruvian Amazon seized a group of eight members of the Peruvian Air Force who came to assess the area in a military helicopter. The natives demanded compensation for the oil spills’ pollution. In an official statement, the Peruvian Air Force (FAP) reported that both the helicopter and its crew are in perfect condition. The head of communications of the Interethnic Association for the Development of the Peruvian Rainforest (AIDESEP), Segundo Chuquipiondo, said the helicopter was taken so that an emergency would be declared in the 20 communities affected by the spill and not just in 16. HONOLULU --- Donald Trump has won the Hawaii Republican presidential caucuses, claiming the last prize in a night of victories for the Republican front-runner. Wind, rain and long lines didn't keep the state's passionate voters from the polls to decide how the Republican presidential candidates would split the state's 19 delegate votes. In an email on Friday, ACLU of Hawaii legal director Daniel Gluck told The Maui News that his group “strongly opposed” several bills being offered to prevent homeless people from sleeping on sidewalks or going to the bathroom in public areas. A short memo to Maui County Mayor Arakawa; as a Hawaii State resident, sir, this is one of the most hamfistedly, pigheadedly pieces of proposed legislation I have ever seen, not to mention decidedly cruel in its intent. Criminalising homelessness doesn't solve the problem; it exacerbates that problem, and thinking people understand this. It is obvious to me that you and your minions need to go on a junket to Salt Lake City, Utah, where city officials have pretty much eliminated the problem of homelessness almost completely. And how have they done that?!? They crunched the numbers, and realized that it was ultimately cheaper to house these people, and hook them up with social services to get them back in the work force, than throw them in jail, or fine them with fines they cannot possibly pay. This is both a logical, and compassionate, response to a complex problem, and the good news is, it is working for Salt Lake City; why can something like that NOT work for the State of Hawaii?!? Many tourists from the US and around the world visit Hawaii for its beautiful islands and its beaches covered with white sand. It is known for its food and traditional luau celebrations, its native people and its culture. When you vacation in Hawaii it offers surfing, snorkeling, scuba diving, fishing, hiking and many other activities. It has been the 50th State of the United States since August 21st, 1959. Since statehood, tourism has been the main industry followed by Education, Government and the Military. However, Hawaii was a country whose government of Queen Lili’uokalani was overthrown more than 120 years ago on January 17th, 1893, when Hawaii was actually known as the Kingdom of Hawaii. It is a part of history that needs to be told. There is still time to organize and invite supporters to attend the Sunday events! Webmaster addition: The original headline erroneously reported the eclipse as taking place on the 3rd. That is incorrect. It takes place next week. Two South Kona coffee growers have reportedly filed a lawsuit against Monsanto, claiming that the company lied about the possibility for glyphosate, the main ingredient in Round Up, to cause cancer. In Hawaii, that force has been on display all week, thanks to a pair of gigantic, back-to-back swells, which generated waves large enough to overtake beach parks, wash across roadways and damage oceanfront properties. Fortunately, we live up on a high hill, but we have been hearing about the problems up on the North Shore the last few days. When 2016 began with North Korea declaring it had detonated a hydrogen bomb, its fourth nuclear test, the U.S. military had already tested a land-based Aegis Ashore missile defense system in Hawaii — Lockheed Martin’s version of the short-to-intermediate-range ballistic missile defense (BMD) system used on Aegis Navy destroyers. Now, as tension mounts after Pyongyang’s satellite launch on Feb. 7, media reports suggest the Pentagon is mulling making the Aegis Ashore test facility operational at the Pacific Missile Range Facility (PMRF) at the Barking Sands naval base on the Hawaiian island of Kauai. A Navy spokesman said, “There are no plans for an operational site of Aegis Ashore at PMRF. It was constructed as a test and training site only.” But Adm. Harry B. Harris Jr., the commander of U.S. Pacific Command, has publicly stated that he believes the Aegis Ashore test facility should be considered as an operational site. Looks as though if the US military has its way on Kauai, all of us in the state will have a ring-side seat to any Chinese or Russian bombardment of our islands!!!! And, of course, the geopolitical "ownership" of these islands (if the onslaught doesn't destroy too much of the infrastructure) translates as power projection, either East or West, depending on who has staked their claim here, militarily. What in sam's hill ever happened to the US government's capabilities to enter into honest, good-faith negotiations, as a way to resolve geopolitical disputes?!? It appears that this process is completely gone from DC's mindset,and the only thing this government is capable of doing is attempting to win its geopolitical battles only by military means. And this is a problem, because right now, the US military doesn't have the money, the weapons, the troop strength, or the manufacturing to insure a positive outcome against either Russia or China. And how has our military come to this point? Because the weapons procurement process has become incestuously corrupt, and those politicians who steer various weapons programs to various weapons manufacturers get taken care of handsomely by those same companies. And how that translates for our military in the field is that when these weapons are finally deployed, many times they do not work as advertised; are chronically late, and horrifically over budget. Please understand; as a Christian pacifist, I abhor war, and I never advocate violence. However, when it comes to weapons for our men and women in uniform, I want them to have the best, which perform as advertised, and are supplied on time and within budget. Hawaii superdelegates: Let voters decide! From 1995 to 2004, Christine Sheppard used Roundup on her commercial coffee farm in Hawaii. In 2003 she was diagnosed with non-Hodgkin's lymphoma and was forced to sell her farm to pay for expensive cancer treatments. 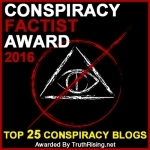 "Monsanto assured the public that Roundup was harmless. In order to prove this, Monsanto championed falsified data and attacked legitimate studies that revealed its dangers. Monsanto led a prolonged campaign of misinformation to convince government agencies, farmers and the general public that Roundup was safe." A private helicopter carrying five people crashed into Pearl Harbor in Hawaii's Oahu on Thursday. One of the passengers, a 16-year-old boy, was rushed to hospital in a critical condition. The mayor of Hawaii's Big Island declared a state of emergency on Monday amid the state's largest outbreak of dengue fever since the 1940s. I did some research and it turns out only 5% of the people who get Dengue are sick enough to require a hospital. 75% of the people who get Dengue never show symptoms and don't know they have it. The other 20% come down with what feels like a mild flu. Here are some strains that are high THC. Turn the sound down before you play the HT video. Vaccination Bills with Mandates are being proposed in the Hawaiian Senate this week! Five vaccine bills with mandates have been introduced this year in the Hawaiian House Senate. Three are already being heard in Senate Committees this coming week. Whether you agree with vaccinations or not, it should be our right as parents to choose what we think is right for the health of our children.”Our religious and spiritual practices are a human right. HI entered legislation today to require immunization with no religious exemption for public school students.” Dr. Patricia McLean. “This legislation guarantees that we will not take our forests, rivers, oceans, national parks, monuments and wilderness areas for granted, but rather we will set them aside and guard their sanctity for everyone to share. That’s something all Americans can support.” Those were the words of President Barack Obama on March 30 when he signed the Omnibus Public Lands Management Act that placed an additional 2 million acres of public land under the federal government’s most stringent use restrictions. To anyone who knows the record of public land management, however, these words of preservation and unanimous support ring hollow. Well folks, it turns out that Michelle Obama is showing her true narcissistic tendencies just as her husband does. As she continues her lavish Hawaiian vacation on the tax payer’s dime, Hawaii natives are ready for the mooch to return to D.C.
During that time, Secret Service has been shutting down almost all access around her making day-to-day- life for residents, literally impossible. Beyond this, as she thoughtlessly carries about her leisurely activities, she seems oblivious that her time there is hindering others from their own recreational activities—Secret Service has been shutting down local hiking trails. It took Kumar seven months to collect honey samples from around the island. She had help from beekeepers Jimmy Trujillo and Doug Gates, who helped her network with other beekeepers to gather samples. She gathered a total of 36 samples. After getting samples, she sent them to a lab in Honolulu and a lab in Germany. “We wanted to compare the results that were gathered from two different methods to see if they were similar,” Kumar said. Both lab tests yielded the same results — the area around Kupua and Kapena had the highest levels of glyphosate. “It’s concerning because pesticides shouldn’t be in honey, and now beekeepers have to question whether or not their honey is safe to sell,” Trujillo said. High dosages of glyphosate can cause cancer and miscarriages, according to motherearthnews.com. The new finding may explain why some bee colonies are dying, Trujillo added. Monster waves are crashing off Hawaii, with eager surfers waxing up their boards to take advantage of the biggest swells of the season. Huge waves, some believed to be as high as 12 meters (40 feet), have been spotted off the coast of the North Pacific Ocean islands in recent days. I know people who try to surf the TSUNAMIS! Hawaii Department of Health Reports First Case Of Zika Virus In The U.S. The release stressed that this case wasn’t acquired in the United States: the mother was pregnant in Brazil in May 2015, when the virus was transmitted. Neither the infant or the mother are contagious. Now and then giant ocean creatures wash up on beaches in a horrible mess. At Kalaeloa Airport on Oahu (Hawaii) a similar but aerial creature has washed up in an airport hangar. It’s the Solar Impulse 2, a solar-powered plane with a wingspan nearly as long as an Airbus A380’s. But it weighs rather less than a Toyota Land Cruiser and has so far cost its sponsors about $US250 million. You may have heard of this hike. Most people refer to it as “Stairway to Heaven” but the official name, the one you’ll find on the trail head sign, is Haiku Stairs (or Ha?ik? Stairs). It’s a steel staircase made up of 4000 steps that ascends a ridge up from the Valley of Haiku near Kaneohe. The steps were built so the military could access a radio station antennae 2000ft up on the mountain during World War II. Coast Guard officials told the Honolulu Star-Advertiser they received a distress call at 10:38 p.m. from the Marines that two of its CH-53 Super Stallion helicopters, each with six Marines on board, had crashed off Oahu. Debris from the crash was sighted 2.5 miles off Haleiwa shortly after midnight, they said. CNN, citing a Coast Guard spokeswoman, reported that search crews spotted an empty life raft and flames on the water. Those Super Stallions were always circling the island in formation training flights. I am going to take a guess that they collided the main rotors which is why they could not auto-rotate down to the sea. The reported collision between two Marine Corps choppers carrying six crew members each happened just before midnight local time, Coast Guard spokeswoman Sara Mooers said on Friday. The helicopters belonged to the Marine Corps Air Station at Kaneohe Bay, she said, adding that Coast Guard crews have spotted a debris field about 2.5 miles (four kilometers) off the north shore of Oahu but no people. The Manjaro community is proud to present another update to the Gnome Edition installation media. The Manjaro community is happy to announce a fresh release of the Fluxbox edition, including the latest packages of the Manjaro 15.12 “Capella” stable branch. The Manjaro community is proud to announce the release of Manjaro i3 15.12. With this newest version of manjaro-i3 we deliver a complete set of command line applications together with their convenient and more beginner-friendly graphical alternatives. Manjaro Mate-Desktop 1.12 released! After a month of testing, stable release comes finaly true! After some developing a month and testing the up coming ISO build’s, stable Cinnamon ISO is there ! Hawaiian man has filed a lawsuit against a Honolulu police officer, and the city that employs him, after the cop savagely beat him for praying next to a sun-bathing Hawaiian monk seal on the beach. The direct indebtedness of US states (excluding revenue bonds) is $500 billion. However, bonds are just one part of the picture: states have another trillion in future obligations related to pension and retiree healthcare. In the summer of 2014, we conducted a deep-dive analysis of US states, incorporating bonds, pension obligations and retiree healthcare obligations. After reviewing over 300 Comprehensive Annual Financial Reports from different states, we pulled together an assessment of each state’s total debt service relative to its tax collections, incorporating the need to pay down underfunded pension and retiree healthcare obligations. While there are five states with significant challenges (Illinois, Connecticut, Hawaii, New Jersey, and Kentucky) , the majority of states have debt service-to-revenue ratios that are more manageable. Thank you for wrecking our tourism economy, TSA! But deep in Kalihi Valley, the backyard illegal aerial show began just after sundown Thursday. And marked police cars could be seen darting back and forth as the fireworks lit up the sky. "I heard some mortars followed by sirens. Someone set up a 12-round mortar system and you hear all the sirens going off driving up in the valley trying to find out who it was," said Kalihi resident Dylan Richards. At midnight, the sky above Honolulu lit up in a grand show of celebration and open defiance of the ban on fireworks. If anything, it was even more intense than last year. I hope Obama got the message that people are totally fed up with draconian control over their lives. We want to be left alone to live our lives as we see fit, not condemend to a politically correct global gulag! The Secret Service quickly intervened and said the pilot of the small, quadcopter-style drone was "completely unaware" that Obama's motorcade would be traveling through the area on Oahu. The man "immediately complied with law enforcement requests to cease and desist," the statement added. No charges were filed and the motorcade did not stop or slow down because of the incident. There were announcements on the Hawaii media not to fly drones while Obama was here and given that this guy was released without charges I suspect it was a PR stunt as the government now has an excuse to remind everyone that quadcopter drones over a half pound weight are now regulated and must be registered with the FAA ... for a $5 fee. Americans are buying 15,000 drones per month. You can work out the cash windfall the FAA gets for their registration program. What other use it has is questionable as most drones do not have serial numbers nor radar transponders and thus cannot be tracked or managed. After looking through our monthly expenses for our family of three, I was shocked to find that we are spending well over $2000 a month on groceries locally. So when I went to the grocery store I snapped a few pictures that may shock you as Hawaii food prices continue to skyrocket. Webmaster addition: Yes, those are accurate! Since 2009, Hawaii’s politicos have sought to name two schools, an abandoned lot, a scenic overlook and two state holidays after Obama. An effort to put the 1960s-era cinder-block apartment building — where he lived — on the National Historic registry also fell short. We have some local garbage dumps and toxic landfills with no names. United States President Barack Obama's 16-day Christmas getaway in Hawaii will bring the cost of his family's personal travel during his time in office to more than $US70 million ($98 million), according to a new study. Look for the GMO corporations to find a corruptible judge to block this law. Judicial Watch tracks costs related to presidential trips, including what it costs to operate Air Force One. Three trips earlier this year – a Palm Springs golf trip in June, a trip to New York in July and a visit to Martha's Vineyard in August – cost the U.S. $3.1 million in travel expenses alone. It costs about $206,000 per hour to operate the president's private plane. Last year's Obama family Christmas trip cost $3.7 million in flight expenses alone, with 17.8 hours in the air round-trip. Housing and security costs are on top of that amount but not all that information is released to the public. Those expenses don't sit well with everyone. Building work on the world's largest telescope has stopped after the Hawaiian Supreme Court sided with local groups and withdrew construction permits. The Thirty Meter Telescope (TMT) project broke ground last October – albeit briefly – as protesters flooded the site trying to stop the building work. Local groups claim the telescope will damage the ecology of the Mauna Kea volcano on Hawaii's Big Island, and violates what some Hawaiians feel is a sacred site. Protesters took to the courts to get the project stopped, but approval of the project was granted before their case was heard. This violated due process rules, the Hawaiian Supreme Court ruled, and as such the permits have been placed on indefinite hold. A team of archaeologists has released images and video of a US Navy plane which sank during the opening minutes of the Japanese attack on Pearl Harbor in 1941. Some 27 Catalina PBY "flying boats" stationed at Kaneohe Bay were destroyed, while another six were damaged. The Supreme Court has indefinitely stopped Native Hawaiians from moving forward with a unique and controversial election that they are hoping to use to form their own government. The high court on Wednesday extended a temporary stay issued by Justice Anthony Kennedy on Friday, granting an injunction requested by a group of Native Hawaiians and non-Hawaiians challenging the election. Did someone goof up a biowar test on the Big Island? They do a lot of military testing in Hawaii. There are still some areas on the Big Island which are blocked off because they are still contaminated from 1960s Agent Orange testing! Take that Damn Mosquitos! We're all Vectors now. A relatively new disease has been spreading around the world. It’s called Chikungunya and it was first seen in 2013 in the Caribbean. Since then, it has spread throughout South America and to the Pacific. Part of the reason we are seeing these diseases emerge here in Hawaii is both the influx of illegal immigrants and refugees (yes, we have our share) coupled with funding cuts to the state department that controls pest populations. 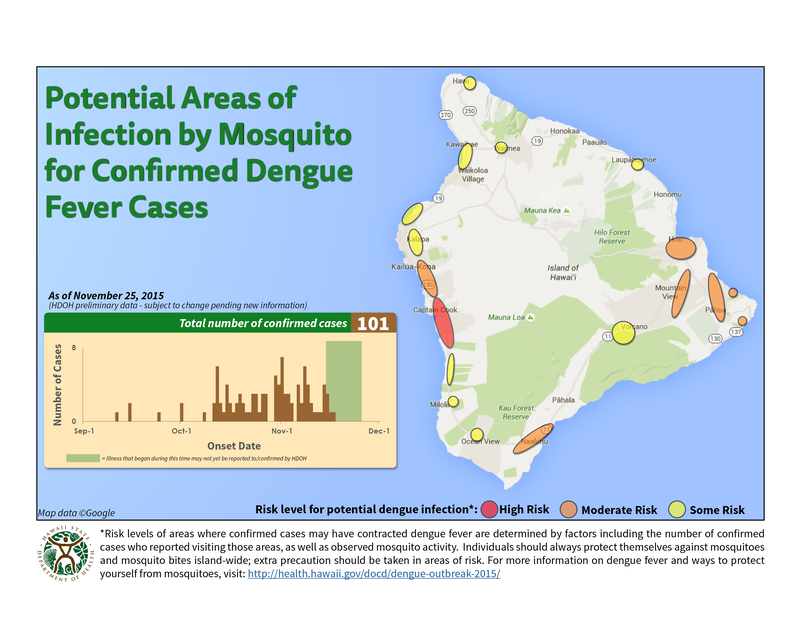 The number of people in Hawaii infected by dengue fever continued to rise, and officials asked the public to help limit the spread of the virus. The state Department of Health reported Monday that 112 people have been infected on Hawaii's Big Island since Sept. 11, including 14 visitors to the Aloha State. There have been no cases of dengue fever so far on Oahu, Maui or Kauai, said Virginia Pressler, director of the state Department of Health. Click HERE for a map of the risk zones on the Bis Island. Guests would be treated to a one-of-a-kind panoramic view of sea life at a staggering 28ft (8.5 metres) below the surface. Last month, US Congresswoman Tulsi Gabbard went on CNN and laid bare Washington’s Syria strategy. Repeatedly she has laid out simply, clearly and with experience the reality in Syria. This is absurd. The election is for the indigenous Hawaiians to decide the degree of separation they wish from the US Government, an issue that does not affect the non-indigenous people of Hawaii at all. This is a blatant attempt to allow the non-indigenous people of Hawaii to block the sovereignty of the native Hawaiians! 1) It's a Homeless Awareness Event. 2) This event is a fundraiser for us. While "people are aware there is a homeless issue", Many people are NOT aware of what the actual issues are that hinders a homeless persons ability to make progress and move their lives forward. Sometimes there are common issues like lack of Birth Certificates and ID's. Sometimes the obstacles are more unique to an individual person. Our goals with this event are to help the public understand some of these issues, and to raise money to help people overcome their obstacles. I just met the gentleman who organized this event. Sadly, it is almost over and I did not hear about it because our local Hawaii corporate media, ever mindful to protect the illusion of a healthy Hawaiian economy, avoids stories reporting on the scale of the homeless and hungry here in Hawaii, refused to give this event any coverage. Tomorrow is the last day, but we will have Curtis on the radio show the week after Thanksgiving. Do click the link so he knows word got out somehow.